I hear you, I think the PTR will be a smaller grid and I agree the people who are going to be Evil Landlords likely aren't going to show their colors on the PTR. Part of me is guessing the PTR will be pvp only, because I do think they want this game to be pvp focused. If its been posted otherwise my bad, but I keep seeing "The PTR" and worry they are only going to have it PVP enabled. The one claim per island meta just doesn't appeal to my group to even try it out. But I hope you guys do get something useable in the end. Wow, thanks folks, if enough people respond saying they are with us maybe, allthough I've pretty much lost hope. I want to be clear, I think something needed to be changed with the existing claim system. I think the change was simple for PVE (not speaking for PVP). Limit number of claims, make them square and not overlap etc, BUT the key was it is clear the solution for PVP doesnt work for PVE, we're just asking to consider that. Who else do I speak for? I call myself "We" because if you read my original post, it is me and my company, I'm not speaking for anyone else. You sound less important by not reading. You should try reading. For context, my original post said "We (my company) had all but decided to go. " Also could you please define "Intelegent discusion"
Except the 1 claim per island system is not something were interested in at all. I don't know why we'd "give it a shot". This is what honestly we've been told in Doscord this whole time waiting for the wipe. "Give it a shot", "Wait and see". But it is clear they are focused on PVP and will just copy whatever system they create over to PVE. That is fine, as a game direction to focus on PVP, I get it, not arguing, it's their game. It's just not the direction I'm heading. While I do think I got my monies worth. I don't think I'll by another game from this org. Actually, no what I was saying is they will never have 2 claims systems, one for PVP and one for PVE. So I kinda knew whatever system they used in PVP is what PVE would get stuck with. After they announced the 1 island 1 claim system and said they would just copy paste that to PVE but no wartime the forums were full of "please don't do this". I was very vocal in discord about what a bad idea this was but, I knew that they wouldn't develop two claims systems, its too much effort. We (my company) had all but decided to go. In discord I was told to wait and the changes might not be final. Then Dollie solicited a bunch of feedback in discord on PVE, and for a moment I was hopeful. Then we see the captains log today and what we got was... "We're keeping it how we said in captain's log but we'll keep an eye on it". I think I got my money's worth out of the game, so I am not here to complain, just to say, farewell. It's clear the direction of this game is PvP and offline raiding and that's totally a fine choice. We tried PVP and we spent all our time defending our tiny base and no time on the water. I dont see that changing significantly, and pve is "Feudal Lord and Serf Simulator 1.0". We've decided to move on, but did enjoy our time here. 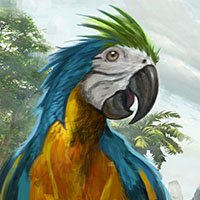 Some constructive feedback on the new changes. *moved this to general as it duscusses both PVE and PVP will delete my pvp thread I appreciate the team wanting to make this better so I will just list some constructive feedback and hopefully can hear how the team is thinking about this. First as a small group of less than 5 very close friends playing this game, the proposed changes will rule out PVP server for us which is where we actually want to be. Why? We want to own some land, and with the proposed claim system we might have a shot at an island claim, but the clock will be ticking until we lose it and live off someone else's land. It's just not appealing to us to fuel someone else's war effort and not really own anything. In terms of PVE I have a lot of concerns that it feels like this patch only addresses the PVP side. You don't solve a couple of the MAJOR PVE problems, namely people blocking shorelines with either foundation or ship spam that cannot be removed. On top of that you create a potential problem of foundation spam and people land locking you and continually squeezing you out. I'd like to propose a couple of Ideas, they aren't silver bullets but maybe you all can pick them apart. 1. The repair structure, what if we make those radius based (about the size of a current claim) limit them to 1 per person per grid square and prevent anyone from building other than your company in that radius and make THEM have an upkeep. This prevents foundation spam, it would encourage people to put multiple repair structures but if the structure itself has an upkeep that if it isnt met then it opens the build area within it then this could curb that behavior. 2. This may be a crazy idea but what if anchored ships had no player collision, but you couldn't anchor while clipping another ship. This would prevent people from being able to block you in they still may be able to spam the coast with ships so that you couldnt come back there but that would be difficult to do at best. It's the best idea I could come up with, I dont know how you fix foundation spam blocking ships unless the repair structure radius I explained above can reach into the water but you cant build them OVER water, that might help? I appreciate the team wanting to make this better so I will just list some constructive feedback and hopefully can hear how the team is thinking about this. First as a small group of less than 5 very close friends playing this game, the proposed changes will rule out PVP server for us which is where we actually want to be. Why? We want to own some land, and with the proposed claim system we might have a shot at an island claim, but the clock will be ticking until we lose it and live off someone else's land. It's just not appealing to us to fuel someone else's war effort and not really own anything. In terms of PVE I have a lot of concerns that it feels like this patch only addresses the PVP side. You don't solve a couple of the MAJOR PVE problems, namely people blocking shorelines with either foundation or ship spam that cannot be removed. On top of that you create a potential problem of foundation spam and people land locking you and continually squeezing you out. I'd like to propose a couple of Ideas, they aren't silver bullets but maybe you all can pick them apart. 1. The repair structure, what if we make those radius based (about the size of a current claim) limit them to 1 per person per grid square and prevent anyone from building other than your company in that radius and make THEM have an upkeep. This prevents foundation spam, it would encourage people to put multiple repair structures but if the structure itself has an upkeep that if it isnt met then it opens the build area within it then this could curb that behavior. 2. This may be a crazy idea but what if anchored ships had no player collision, but you couldn't anchor while clipping another ship. This would prevent people from being able to block you in they still may be able to spam the coast with ships so that you couldnt come back there but that would be difficult to do at best. It's the best idea I could come up with, I dont know how you fix foundation spam blocking ships unless the repair structure radius I explained above can reach into the water but you cant build them OVER water, that might help? Not entirely sure how but someone has been sinking our ships overnight on PVE we suspect they either jumped on or put tames on to exceed the crew limit. That's our working theory. 1 brig and one schooner sank 2 nights in a row. Planks were full before going to bet all crew fed well and paid. We had pulled them up next to a structure which may have given them deck access inadvertantly. Such a dumb mechanic.